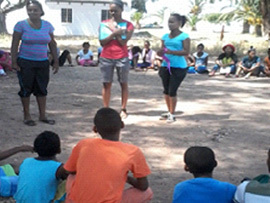 Our focus is Youth development in the Abbotsdale community: We would like to educate, motivate,inform and inspire them to make use of every opportunity to develop themselves in life. We have 3 ex-volunteers in permanent work in ECD Centres in Abbotsdale and Malmesbury. 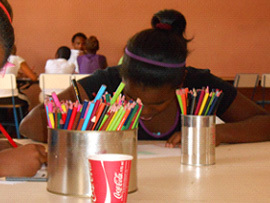 WCCF supported the Youth club with a grant of R2500 for arts + crafts equipment for the After school program in 2013. This made a huge difference in the lives of 60 very active and creative children because this program is a great outlet for all their excess energy. They made thank you cards, book marks, beaded bracelets as gifts for the visitors. The older girls learned to knit at the ages 12 and 13 years and they enjoyed it a lot because it is not something they do at school anymore. 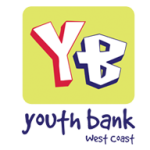 WCCF has agreed to donate a grant of R5000 for the December holiday program for the young people of Abbotsdale. This donation is making it possible for the organization to provide a safe space for the children during the school holidays during the festive season. 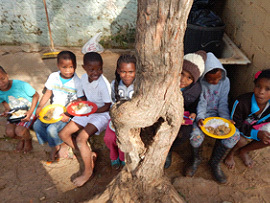 We can also feed 120 Children one decent cooked meal. I am passionate about helping the children and have grown to love each one of them I believe in their potential and their ability to rise above their circumstances of poverty, abuse, violence, drugs and crime. All our programs are centered on unlocking their potential; building their confidence in such a way that they are will recognize and grab opportunities that will enhance live.